The Colegio Arenas Sur in Maspalomas, Gran Canaria will celebrate the II Arenas Teaching Symposium from 25th to 27th June this year. Speakers this year include Nina Lauder, Shawn Redwood, Andrea Littlewood, Igor Gavilán, Maite Molina and myself among others. 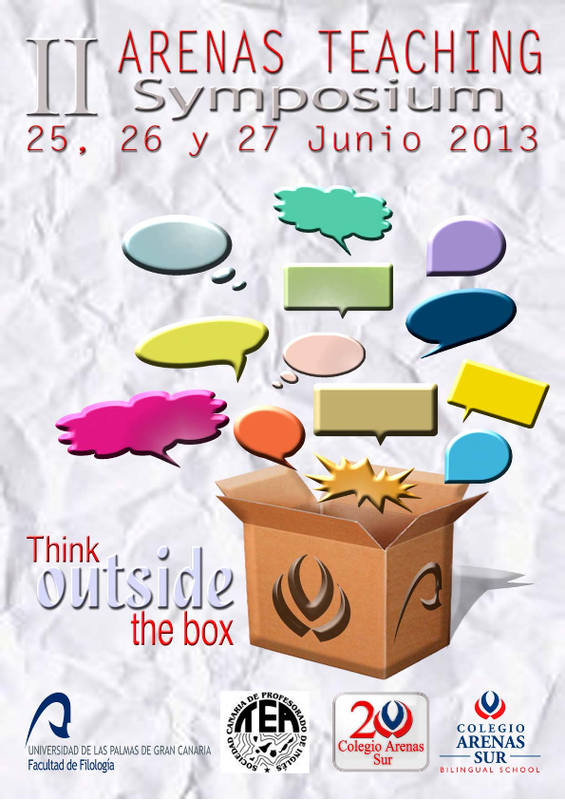 The theme this year is ‘Thinking Outside the Box’. For more information on the programme and on the speakers, click here. For information on last year’s fantastic symposium, visit this site. This entry was posted in Conferences, Talks, Teacher training and tagged Colegio Arenas Sur. Bookmark the permalink. ← What’s the best way to teach languages?